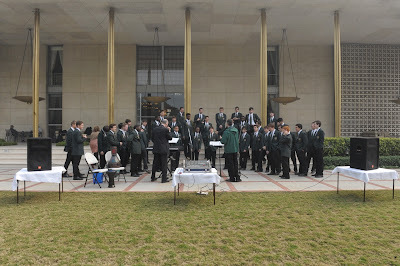 January 4 - A partial update - more pictures will be added. Health update - everyone is either back with the group or well on their way. Same with the adults. 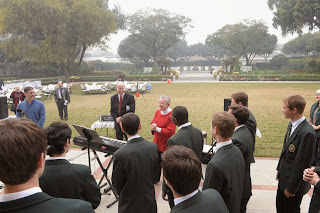 We had our morning rehearsal in an unusual venue today - the beautiful garden of Roosevelt House, the residence of the US Ambassador to India, and we had the honor to meet Ambassador Nancy Powell, and after lunch, perform for her and her guests. 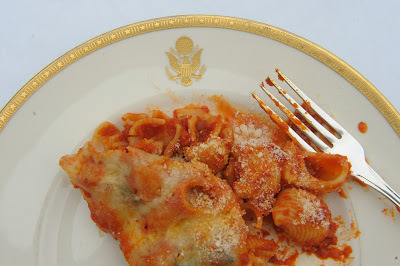 On the official plates of the US Embassy. 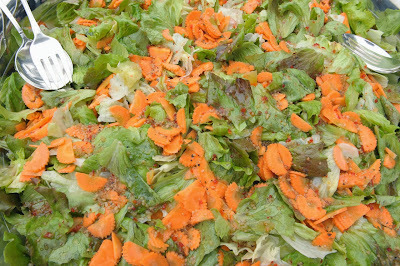 The Chaps were happy to be able to eat salad for the first time this week! 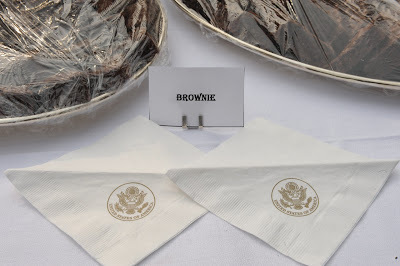 And everyone loves brownies - with official embassy napkins, too. Tonight - FULL HOUSE! They had to turn away at least 50 people because there was just no more room, and fire codes had already been totally ignored with people sitting in the aisles, standing in the back, taking up every possible space. I'm sitting back stage, and can hear not only how incredible the guys sound tonight, but how much the audience is loving them! 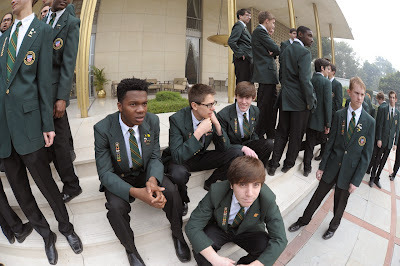 More about the end of the night with Arun and Tushar tomorrow - we are getting up early - off to Agra and the Taj Mahal!! Sitting among the very cultured Indian audience you could just feel the growing appreciation as the boys sang through a set of Christmas and then a set of American songs. When Steve Fisher lead them into the last set devoted to Gandhi the audience was spellbound, you could sense the understanding they have for Gandhi's message of nonviolence. 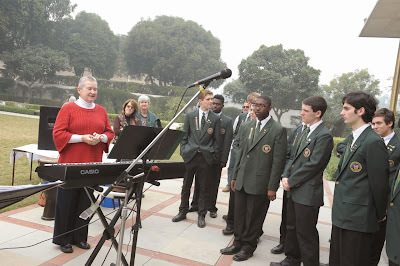 The boys sang songs of four religions...about peace ...and the audience gave the boys a standing ovation and were so inspired that they spontaneously broke out into a favorite chant of Gandhi's!! 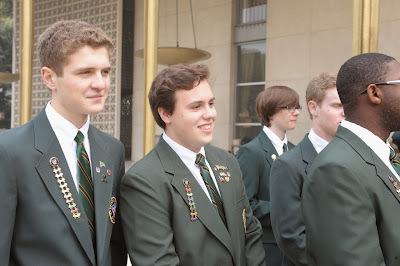 Our boys are amazing ambassadors!